Bicycling Accidents Archives - Robert J. Reeves P.C. As the temperature rises, getting out and getting active becomes much easier. One means of getting a little exercise and sun, is by means of cycling. You can get your heart rate going, feel the wind on your skin, and get where you’re going at the same time. All in all, if you have the chance, cycling is a pretty good way to go. But, what you might not realize is, riding a bike has it’s own set of associated dangers. Cycling injuries can stem from a number of different circumstances, mostly depending on when, where, and how you ride. But the good news is, you can prevent a lot of those injuries from occurring. You might not consider it, but cycling injuries can arise from staying on the bike. A crash isn’t the only way to leave the bike with pain. In all actuality, some of the worst pain comes from riding just how you’re supposed to. Think about it, you’re curled over the handlebars for fun. Add that to the fact that most of us spend our work day hunched over a computer, and the problem becomes much worse. It can impact your posture, and the development of chronic back pain. The key to treatment and prevention is mostly in stretching, and positioning yourself on the bike. Get a good, preventative and post-ride stretch in. Focus on your posture, and focus on positioning your seat and handlebars in a way that relieves pressure. These types of injuries occur, quite obviously, during a crash. Therefore, they mostly occur in cyclists who ride in a competition setting, in a metropolitan area, or on rough trails. Anywhere that you might make quick changes, avoid obstacles, or ride very closely to people. An impact, or crash, injury can be anything from bone breaks, to strains, and road rash. Any injury resulting from that impact. Treatment for these have a great range, being that they vary quite greatly. For road rash? Antiseptic creams and keeping it clean will do the trick. But, when it comes to more serious injury— seek a professional. Cycling is tough on the bum, so, saddle sores are a strong possibility if you ride quite frequently. A saddle sore is mostly characteristic of a sore, raised area that arises on your backside. Saddle sore is not typically serious, just keep it clean and dry. To prevent it, consider finding some more well-fitted riding attire, a different bicycle seat, or a cream to reduce friction. The central idea behind the theory of negligence is that people must exercise reasonable care when they act (any activity from driving your car to laying asphalt). This takes into account the fact that any act may cause the harm of another person. 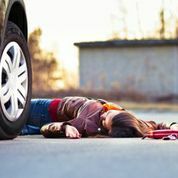 If an injured person proves that another person acted negligently, the action of which caused injury, the plaintiff may claim monetary damages. Negligence cases are very fact specific, where the plaintiff has the burden of proving that the defendant’s accidental injury not only caused the harm, but was followed through in an unreasonable manner. Further, damages must be proven. Now, where do we start? In South Carolina, the statute of limitations during which suit may be brought on the theory of negligence is three years. This means that if a period of three years has passed since the negligent act, suit may no longer be brought. Further, South Carolina uses the doctrine of modified comparative negligence to assign fault. This system has two important aspects: (1) the injured party may recover only if he or she is less than 50 percent at fault; and (2) if the injured party was also negligent, the originally negligent party is only liable for the percentage of damages he or she caused. Therefore, if the jury finds that a driver is 70 percent negligent and the other driver is 30 percent negligent, the person who is 30 percent negligent will collect 70 percent of his or her damages. Also, if either driver is more than 50 percent negligent, that driver will recover nothing. If you or a loved one has been involved in an accident in South Carolina that may have been the result of someone’s negligence, contact the law offices of Reeves, Aiken & Hightower, LLP at 803-548-4444, or 877-374-5999. A little after 8:00 p.m. on Monday night, two people were riding their bicycles down a South Carolina country road, when they were abruptly confronted by a speeding vehicle. The 45-year-old defendant was traveling east on Bay Road, when he rammed his Honda sedan into two pedestrians riding on their bicycles. Afterwards, he left the scene of the crime and sped away. The defendant was tracked down when eye witnesses reported the type of vehicle that they saw hit the cyclists and then sped away from. The police were able to take the description of the defendant, in conjunction with the make and model of the vehicle, and tracked the defendant down in his home, where he was subsequently arrested and charged with Driving Under the Influence, and Leaving the Scene of an Accident. Both charges carry serious penalties in South Carolina. The conditions of the cyclists have not yet been released at the time. If you or someone you know has been injured in a similar accident, or charged with a DUI, contact the law offices of Reeves, Aiken, and Hightower, LLP toll-free at 877-374-5999. An Amtrak train had to make an unexpected and sudden stop on Sunday night. The train, which departed for Raleigh at 5:15 from near Charlotte, struck a man trespassing on the tracks. The accident occurred just outside of Kannapolis in Concord, NC, according to Amtrak reports. Amtrak also stated that no passengers were harmed and the train was not damaged. Authorities are investigating the incident and attempting to find information as to what the man was doing on the tracks. Any injury can have a devastating effect on a person’s financial and emotional well-being. If you or someone you know has been injured in a wreck or accident, contact the law offices of Reeves, Aiken, and Hightower to consult with one of our personal injury attorneys. Our personal injury attorneys handle cases in North and South Carolina. 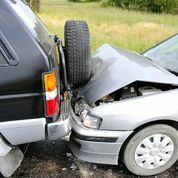 Our personal injury attorneys understand the hardships that come with injury related to an accident. We are licensed in both North and South Carolina, where you can contact us at 704-499-9000 or 877-374-5999 toll-free. A Myers Park High School student is dead after tragically being hit and killed while riding his bike to school Tuesday morning. According to Charlotte Mecklenburg Police, the 14-year-old freshman was riding on the sidewalk when he lost control from swerving to avoid trashcans. He was struck just before 7 a.m. on his morning ride to school by a US Foods Truck in the 2100 block of Sharon Lane near Providence road. The young man was not wearing a helmet at the time of the accident and died on the scene. Friends and family visited the scene of the crash, leaving flowers and notes. No charges are being filed against the truck driver. In 1999 in the United States, there were 750 bicycling fatalities and 51,000 bicycles injuries resulting from traffic crashes. Sharing the road is a concept that needs to be honored by all road users, drivers and bicyclists alike. The fact that certain modes of transportation differ so greatly, however, demands that road users stay especially alert to what is happening around them at all times. If you or a loved on has been injured in a accident involving a bicyclist or otherwise, the competent Accident Attorneys of Reeves, Aiken, and Hightower can be there to fight for your rights as you find your most successful path to recovery. Call today at 704-499-9000 or 877-374-5999 toll-free. A 57-year-old bicyclist is hospitalized after he was struck by a vehicle Tuesday morning on N.C. Highway 8. According to reports, the man was in stable condition Thursday at Wake Forest Baptist Medical Center in Winston-Salem. The accident happened around 10:16 a.m. when man was riding his bicycle on the 3000 block of N.C. 8 and was struck by a 88-year-old Lexington man driving a 1992 Dodge. A trooper from the N.C. Highway Patrol said that the driver attempted to pass the bicycle by moving over to the left to provide room for the bicyclist. As he was passing, the biker swerved over into the Dodge and sideswiped it. The bicyclist was thrown from his bike. The bicyclist suffered a brain aneurysm and stroke after the crash. According to the NHTSA, around 53,000 bicyclists have died in traffic crashes in the United States since 1932, the first year in which estimates of bicyclist fatalities were recorded. Moreover, this number only reflects those fatalities that were reported. Even though bicycles only have two wheels and are powered solely by pedals, they are entitled to the same considerations as all other road users. If you or a loved one is involved in a serious bicycling accident, hire the best attorneys that can get you on a successful path to recovery. Call the Attorneys of Reeves, Aiken, and Hightower at 704-499-9000 or 877-374-5999 toll-free.